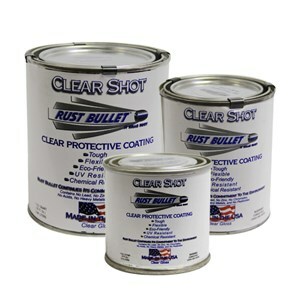 Rust Bullet has formulated one of the strongest and clearest single component clear protective coatings available. 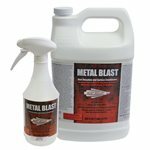 Rust Bullet Clear Shot is a revolutionary single component UV-resistant clear coat urethane that won't crack, chip, yellow, or peel and dries to an incredibly hard water-clear finish. 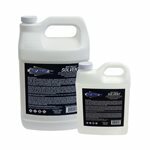 Clear Shot can help rejuvenate and restore faded or oxidized surfaces to like new condition. 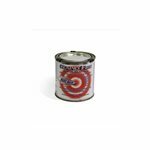 Clear Shot can be applied over painted or unpainted surfaces including wood and can be brushed, rolled or sprayed on, is self-leveling and will not leave brush marks. Rust Bullet Clear Shot is scratch and chip resistant, UV-resistant, as well as resistant to Acid Splash and Chemical Solvents. For best results, specific application guidelines should be followed. Please read all instructions before applying the product.